Narnia, the fabled fantasy land of celebrated author C. S. Lewis, featuring Aslan the lion as the metaphorical Christ figure. 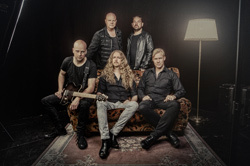 Then there's Narnia, the legendary Swedish melodic power metal band formed by vocalist Christian Liljegren and guitarist CJ Grimmark which also promotes Christianity and the Gospel of Jesus Christ. The band makes their return with the first new album in seven years, simply titled Narnia. So here's the thing. Something of a history lesson. Bands who play most any type of music (with the possible exception of country music) and proclaim Christianity have and always will be set upon by the popular secular culture. That's how it is and will always be. It's the Kingdom of God versus the Kingdom of Man. They intersect, but that latter is opposed to the former. In the later Seventies and the Eighties, when Christian metal and hard rock had its heyday, most bands were considered sub-standard, not having the musical skills or professionalism of their secular counterparts. In some cases, that was true. Fundamentally, because the Message will always be an offense to faithless (1 Peter 2:8), the music of the Christian band better be on par or better than that of their pagan and secular counterparts. In the case of Narnia, whether past albums or the present one, their melodic power metal has always been of the highest caliber, top notch. 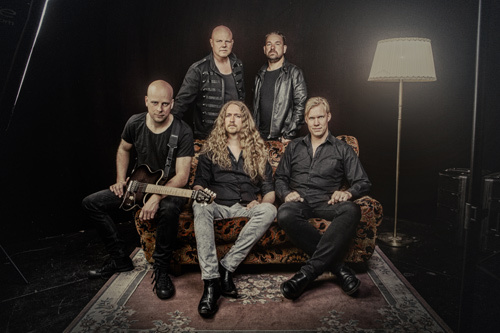 Narnia delivers the proper elements: twin guitar harmony, soaring leads (Grimmark is on fire here), clean melodic vocals and superb vocal harmonies, a charging, as necessary, rhythm section, and all these things wrapped in catchy melodies and significant rock groove. The lyrics, as they should be for a "Christian" band, are forthcoming and clear in the presentation of the Gospel and the glorification Jesus Christ. The recording is polished and professional as well. 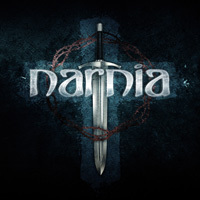 Regardless of what you think of Christianity or Christian metal bands, Narnia can deliver the melodic power metal goods. No question. Musically speaking there is not a single bad song within Narnia. As we often say, "It's all killer with no filler." If you can dig the metal, maybe you can face and even embrace the Truth at the same time. Perhaps not. But Narnia still rocks, and the Spirit still moves. Easily recommended. My top picks: Set The World On Fire, Messengers, I Still Believe, and the melodic metal prayer Thank You. Regardless of what you think of Christianity or Christian metal bands, Narnia can deliver the melodic power metal goods. No question. Musically speaking there is not a single bad song within Narnia. As we often say, "It's all killer with no filler."